Available in 4 sizes, the Popular range is perfect for any gardener, whether you're an absolute beginner, enthusiastic amateur or professional. Integral gutters and a smooth action door are standard. 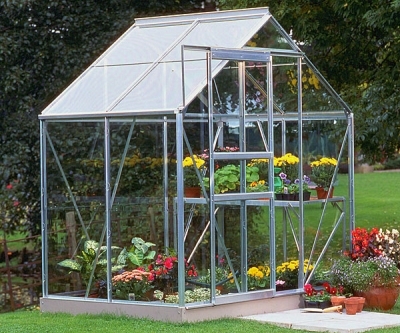 Basic model has Horticultural Glass in, upgrades are an option.